FOOD safety officers seized nearly a tonne of meat from halal butchers in Glasgow. In the biggest case to date, food safety officers seized 1000kg of meat from two halal butchers operating in the city. The meat – which was believed to be lamb but couldn’t be verified because it had no labels – had been supplied by an unapproved cutting plant in Lancashire. A report has been sent to the council’s Health and Social Care Policy Development committee about traceability in the halal meat supply chain. The report says officers launched a project in 2010 to find out if illegal meat was being processed in or distributed to Glasgow food outlets following allegations. They found there was no evidence of meat being illegally slaughtered but documentation and labelling was “in many cases insufficient”. The biggest haul happened in 2012. Recent allegations received include the supply of meat by unregistered traders, the supply of meat without any health marks and illegal street trading of meat from unmarked vans. The report said: “It would appear that some food businesses have not learned lessons from the horsemeat scandal. “Unless traceability significantly improves it will continue to be impossible to differentiate legal meat from that originating from illegal sources. There are a total of 43 halal butchers across the city. The report said Glasgow plays a “key role” in the halal meat distribution chain. Food safety officers plan to create a database of the halal meat supply chain in Glasgow and to liaise with the Scottish Food Crime and Incident Unit. They pledged that halal meat from the food chain which did not match industry or hygiene standards would be removed. The officers launched the project focusing specifically on halal meat because of the level of complaints they received about the halal food chain. A spokeswoman for Glasgow City Council said: “We have processes and procedures in place that give people a guarantee that what they are eating has been produced, processed and distributed in compliance with the hygiene regulations. Environmental health officers have warned that it is often impossible to tell whether meat on sale to the public comes from illegal sources. A report to Glasgow City Council said “some food businesses have not learned lessons from the horsemeat scandal”. The health officers reported a single case in which a tonne of halal meat was seized from two Glasgow butchers. They said Glasgow food businesses remain at risk of “food crime” from elsewhere in the food chain. The investigation which resulted in the seizure of suspect halal meat began in 2010. 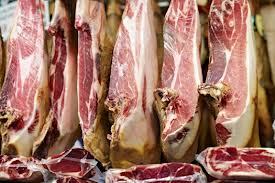 A subsequent allegation about illegal sources being part of the halal supply chain led to the investigation and seizure of the tonne of meat from Glasgow halal butchers. The meat had been supplied by an unapproved cutting plant in Lancashire. The report outlined how the horsemeat scandal in 2013 raised public awareness of the potential for food fraud. It warned that unless traceability “significantly improves” it would be impossible to differentiate legal meat from that originating from illegal sources.